I always look forward to the day after Thanksgiving and all the leftovers. One of my family’s favorite is a turkey pot pie with a savory crust of parsley and cranberries. Using your leftover turkey and vegetables you can create a delicious new meal. 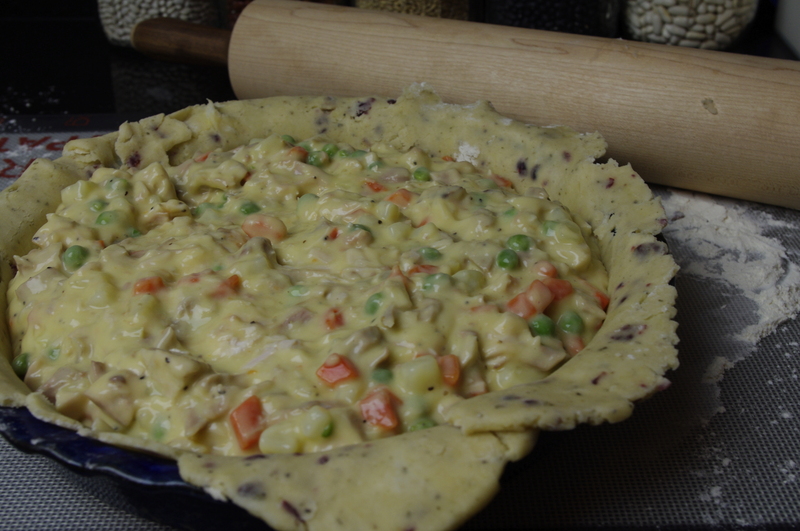 No need to have only once a year you can substitute the turkey with chicken and enjoy this pot pie throughout the year. In large bowl combine the flour, salt, parsley and cranberries. With pastry blender cut in shortening until it resembles small pea size shapes. In small cup combine eggs, cider vinegar and water. Add to flour mixture and combine until just mixed and forms a ball. Divide into two pieces and flatten to a disk shape, wrap in plastic wrap and place in refrigerator for an hour. In large bowl combine all the turkey pie filling, set aside. 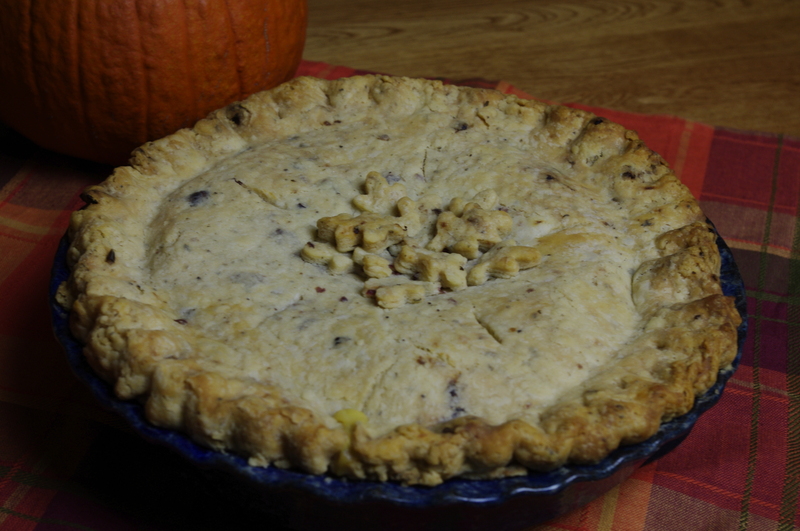 To assemble roll out one pie crust to fit in and just over a 10″ pie plate. Place filling into pie shell and spread out evenly. Roll out second piece of dough and place over filling. 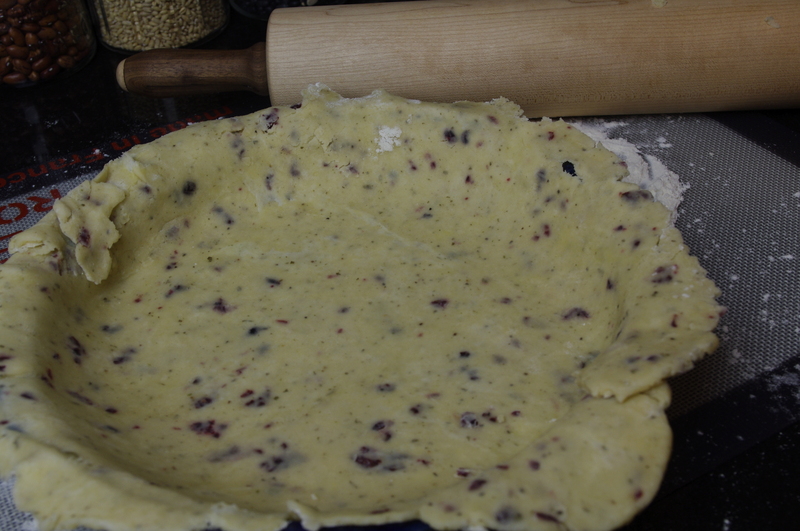 Roll top dough under the bottom crust and flute the edges. Bake in 350 degree oven for 1 hour or until crust is brown. Let set for 20 minutes before you cut.